This might possibly be the best song I've heard this year. Listen to 'Some Written' - the second to last track on this soundcloud of Metronomy's latest album release 'The English Riviera'. Listen to how the song changes at 2min 30 - it's pure light jazz indulgence from there on in. 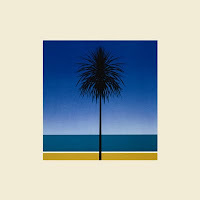 Here's a link to an interview with Joseph from Metronomy on Rockfeedback where he discusses each track on the record. I was interested to hear what he had to say about 'Some Written' thinking I might be getting into a random album track that no one else much likes and low and behold to my suprise it's also his favourite, in fact he says "this might possible be the best song I've ever written" or something to that effect. Thank Dog someone has finally written a decent song this year.